Posted on April 18, 2019 at 11:37 am. Resolutions passes by the Electorate at the April 16, 2019 Annual Meeting. Posted on April 9, 2019 at 11:01 am. The Town of Jacksonport and the YMCA are teaming up to offer fitness classes beginning April 24th- June 12th. Posted on April 2, 2019 at 6:55 pm. 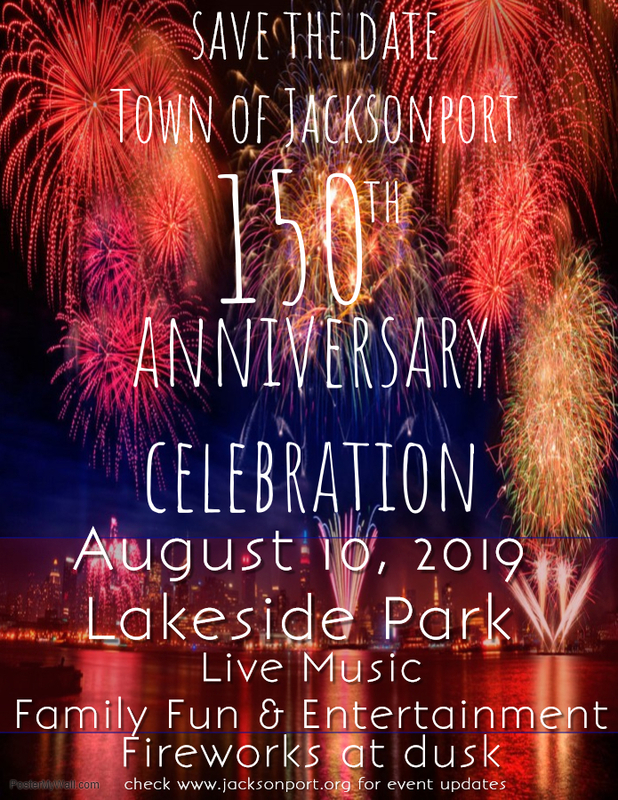 Check out these videos on beautiful Jacksonport! Posted on March 29, 2019 at 11:27 am. NOTICE IS HEREBY GIVEN that the ANNUAL TOWN MEETING of the Town of Jacksonport will be held on Tuesday, April 16, 2019 beginning at 7:00 PM at the Jacksonport Town Hall, 3365 County V, Sturgeon Bay, WI for the transaction of such business as is, by law, required or permitted to be transacted at such meeting, pursuant to Wis. Stats. 60.10 and 60.11. Copies of the 2018 Financial Statement are available online at jacksonport.org or for pickup at the Town Hall and Bley’s Grocery. Posted on March 26, 2019 at 11:07 am. Posted on March 25, 2019 at 5:06 pm. Posted on March 18, 2019 at 9:00 am. Door County Board will consider matters at the Tuesday, March 26, 2019 meeting regarding amendments to the Door County Comprehensive and Shoreland Zoning Maps. 150th Annivesary Celebration- Save the Date! Posted on March 4, 2019 at 6:47 pm. There will another 150th Anniversary meeting to discuss details, budget, and volunteer coordination. Anyone is welcome to attend. Notice: It is possible that members of and possibly a quorum of members of other governmental bodies of the municipality may be in attendance at the above-stated meeting to gather information; no action will be taken by any governmental body at the above-stated meeting other than the governmental body specifically referred to above in this notice.